Proclear Toric from CooperVision, are soft contact lenses which correct the astigmatism and offer all-day comfort and superior visual quality. 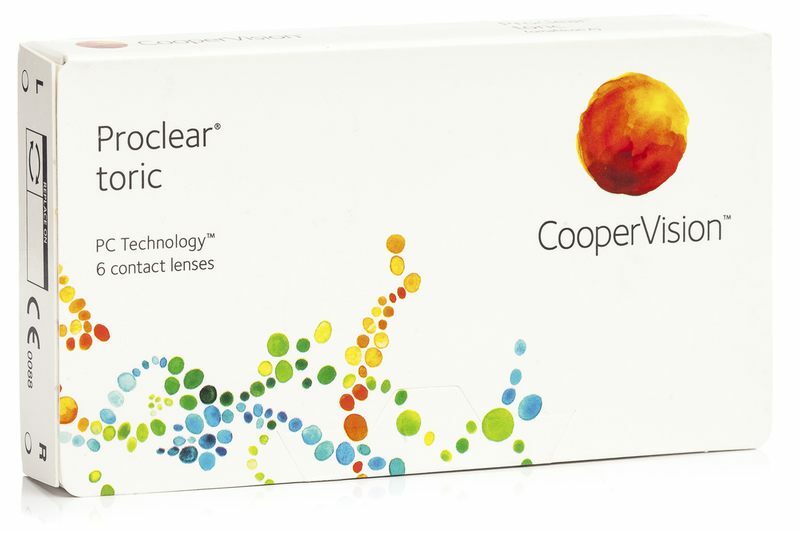 They’re especially good for wearers with dry eye syndrome, or who spend a long time looking at computer screens. A unique material called phosphorylcholine attracts and holds water molecules, meaning these lenses retain three times more water than other soft contact lenses. Customers who bought these lenses also bought ReNu MultiPlus 4 x 360 ml with cases. Hi, You are looking at the wrong type of lenses. You should be looking at multifocal lenses.. Here is the link https://www.lentiamo.co.uk/…tifocal.html Thanks!